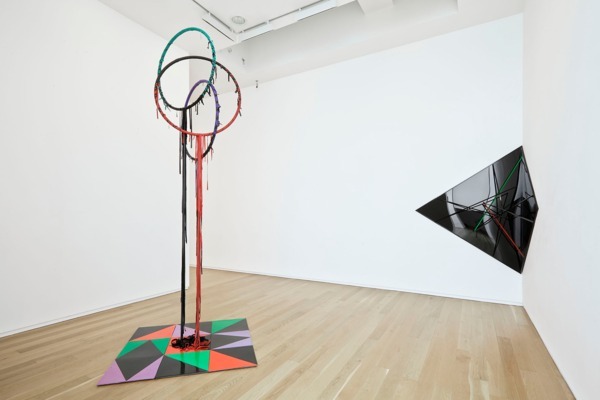 The Irish artist Eva Rothschild (born in Dublin 1971, lives and works in London) is one of the most important protagonists of a generation of artists dealing with the expanded concept of sculpture. This exhibition at Dublin City Gallery The Hugh Lane is the first solo museum presentation of her work in Ireland. 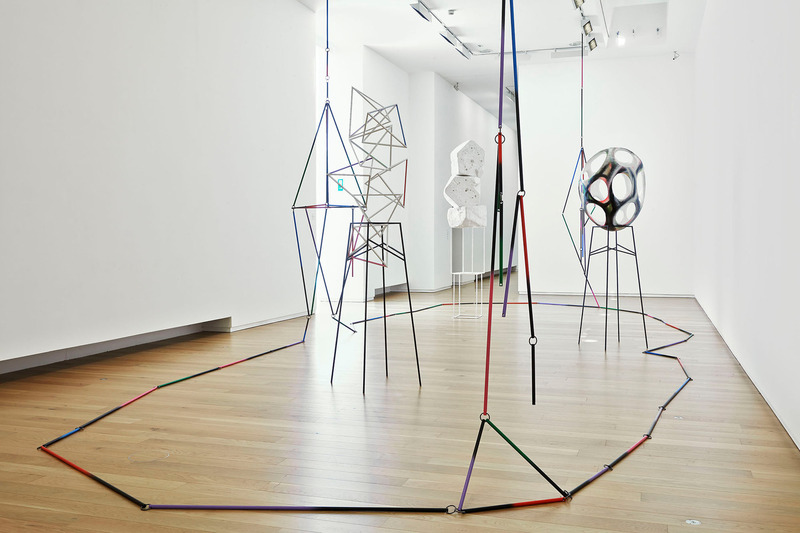 In Eva Rothschild’s work, the formal values of modernism and its ideas of utopia are inverted. 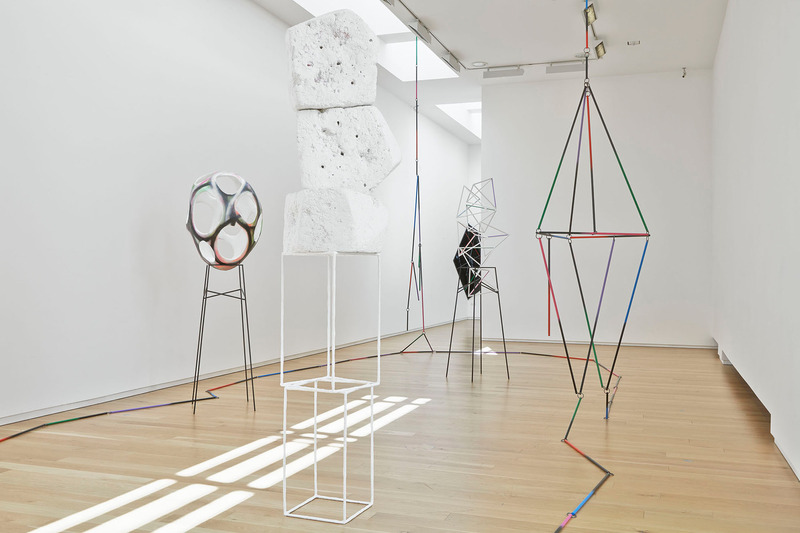 The history of 20th century abstract art is deconstructed through her installations and through the materialism of her objects they become inquiries into how we as humans develop structures (both physical and metaphoric) to support our values. 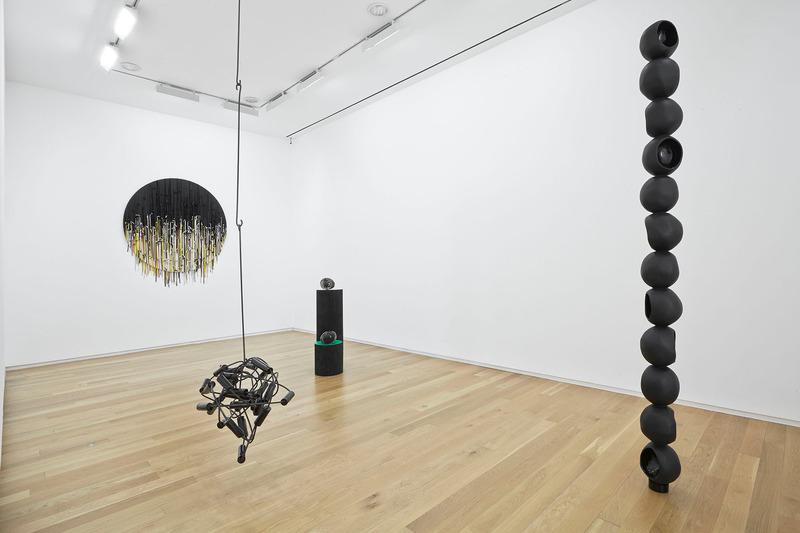 Rothschild manages to deliver sensation, memory, perception, personal idiosyncrasies and diverse cultural traditions, through the transformation of everyday materials into alien artifacts. 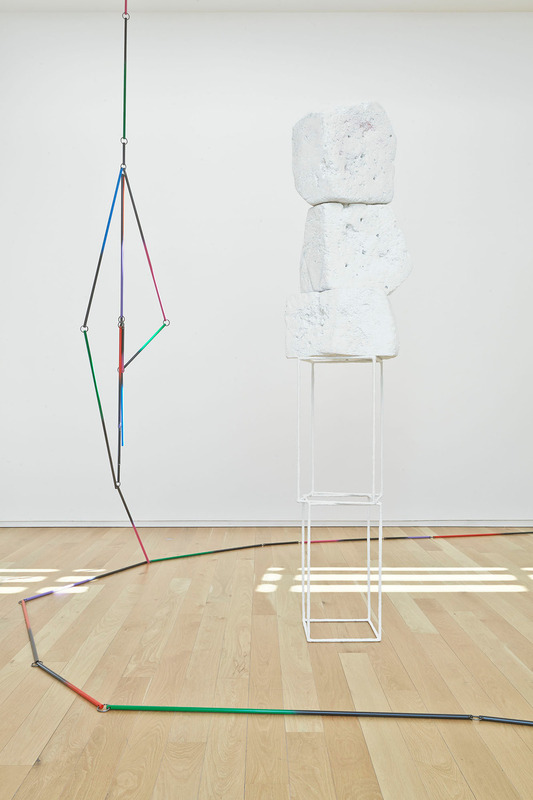 An eloquent admiration of ancient cultures can be discerned through the art historical references of Egyptian and Roman civilisations as well as minimalism and constructivism, but also the influence of American artists Robert Morris and Cady Noland can be seen. 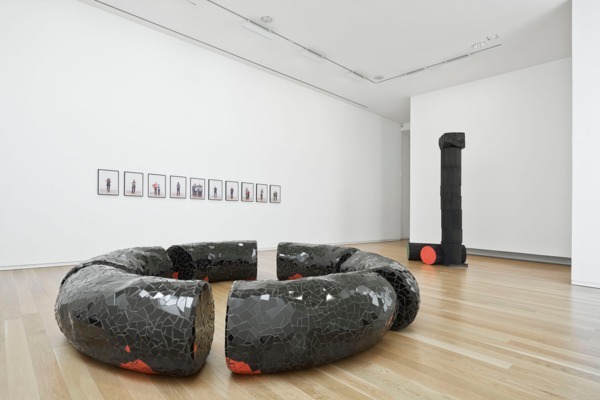 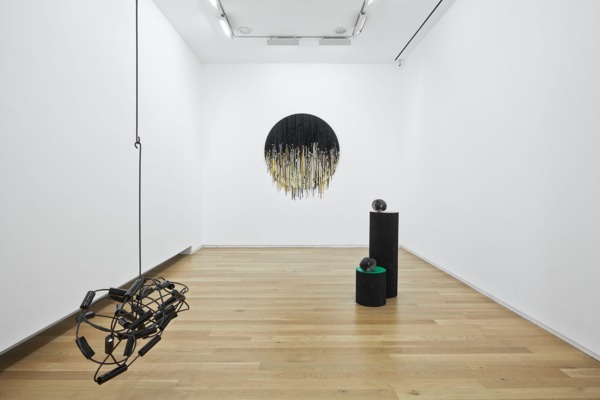 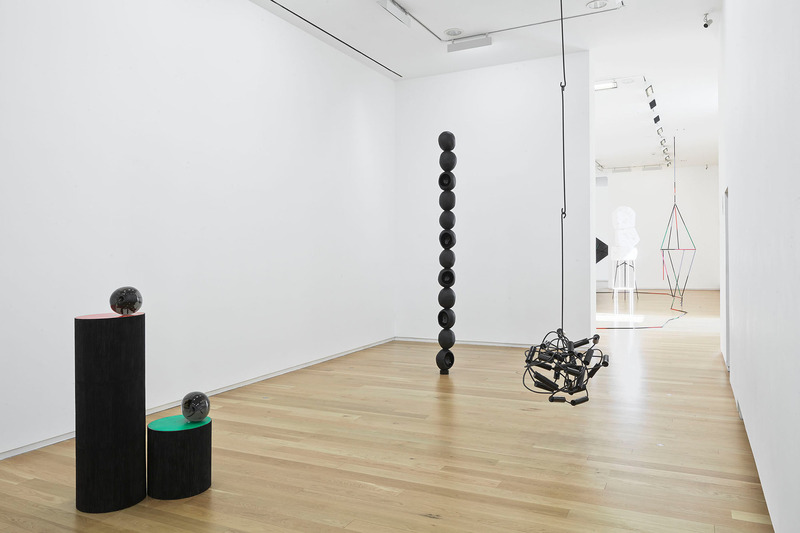 Eva Rothschild’s works are tension-filled combinations of varied materials such as – steel, concrete, jesmonite, fibreglass, plexiglas, leather, polystyrene, wood and paper.